NOTE: A seasonal classic enjoyed by foragers and foodies alike. Sloes are ready around the end of September or beginning of October when they are large and starting to soften. Contrary to popular myth you don’t need to wait until the first frost to pick them they can be popped into the freezer for the same effect. Pricking with a fork does a similar job but is time consuming. Perfectly acceptable results can be obtained with budget spirits but the quality of the finished drink will be reflected in the ingredients. 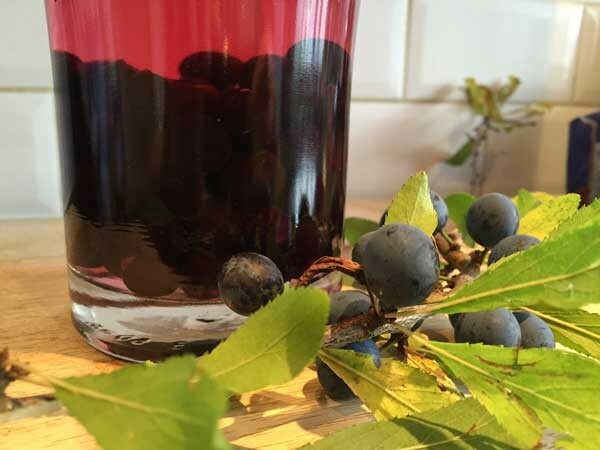 Place the sloes and sugar into a 70cl bottle and top up with your spirit leaving a small gap at the top. Secure the top and leave somewhere that you will be reminded to give it a little shake each day when you pass. I do this about twice a day. The sugar will dissolve quite quickly and the colour will start to diffuse into the spirit. Stop shaking after about 2 months - you can drink at this stage but a smoother result is achieved if it is left to stand for another month. Remove the sloes and filter the finished tipple into a clean bottle just in time for Christmas.